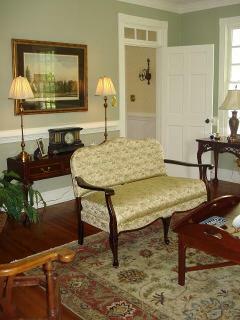 Thank you so much, Linda and Christine, for your help in furnishing and decorating our wonderful home! When Gary and I decided to downsize and move to Raleigh, I saw it as my chance to finally have beautiful, coordinated and functional spaces for us to enjoy. Since you had helped us with a project in our previous home, it was an easy decision to pick up the phone to call you--even before we closed the transaction on our new home! Although I initially had trouble communicating the look I wanted to achieve, our meetings guided me to the contemporary look I've always admired--and now have for my very own! You did an excellent job of listening to our color preferences and presenting the perfect fabrics, keeping us informed on the status of our furniture orders, and finally helping us with the finishing touches that we couldn't have imagined on our own. In my 15+ years as a real estate agent, I've seen many homes and many styles, and worked with many people who want a beautiful space for their families. 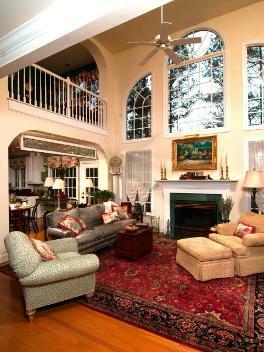 I wholeheartedly recommend Linda Dickerson Interiors to anyone hoping to create that special place called Home. I've known Linda professionally for eight years. 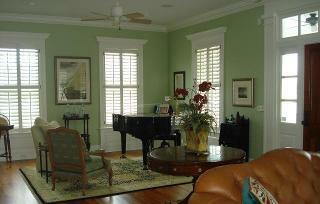 I have a 3500 square foot home that consists of 10 major rooms and 15 ancillary rooms. Linda has helped design almost all of the major spaces. She has provided about 12 types of service, ranging from painting/wallpaper to furniture/upholstery to carpentry and countertops. Several of her service providers have been in my home when I wasn't there - including the major redesign of a room while I was in Europe. She has also selected items, sight unseen. I have found Linda's work to be consistently of high quality, beautiful and fairly priced - and prices are always reviewed beforehand. Overall, Linda is the best designer I've worked with. She has many wonderful qualities both personally and professionally. I can't think of anything negative to say about Linda or her work. 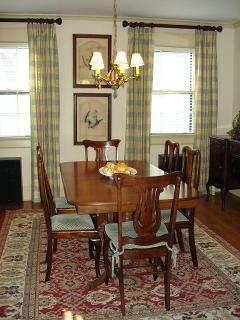 Linda Dickerson Interiors has decorated two homes for Matt and I. For our latest project, a coastal home, Linda and her project manager, Christine, were able to translate our ideas into more than I could have ever imagined. They pulled together the look of casual elegance using our own items and then adding special pieces of furniture, fabrics, and accessories to give the rooms a truly finished look and feel. 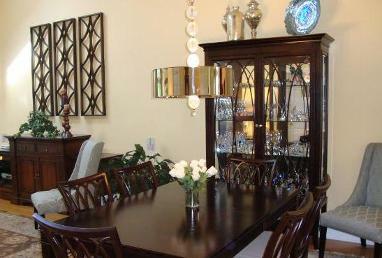 Linda is sensational with furniture and fabric selection, arranging bookcases, and placement of artwork. The team is responsive to ideas and requests and are very easy to work with. They have truly made our new house into a home. Linda and her staff were great to work with. They listened to my likes and dislikes, and chose colors, fabrics, and wallpapers that I love. They are very knowledgeable about all aspects of interior design and selected furnishings, fabrics, and colors that complemented my existing furnishings and created a flow throughout the entire house. Their knowledge of the period of style I wanted was astounding. If I had a problem with anything, they were right on it, even if it meant driving an hour to my house. They did not let me select items that would not work, even if it meant telling me "no", which was an absolute asset for me. 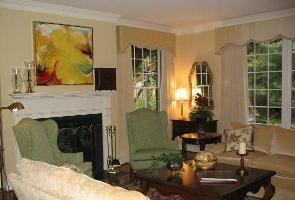 I had checked into many interior designers before I even started my project and Linda had excellent references. I can add myself to that list now. I highly recommend Linda Dickerson Interiors. I have worked with Linda on projects large and small on several different occasions. 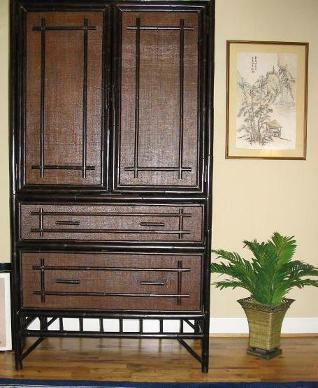 Here's my favorite thing about working with Linda: when I have a decorating dilemma, I gather my questions - many of them I have been fretting over for the longest time - I ask her in for a consultation, nervous that it will take half a day and probably result in solutions that cost thousands of dollars. She arrives, and in under an hour she has answered all my questions, solved big problems with simple solutions, and given me the greatest ideas. She is the least intimidating person to work with. She knows I like to do a lot of things myself and she has always given me great direction in ways to pull things together on my own. Of course in many cases she ended up handling most all the details, but I always felt as if I had been a member of her design team. I can't wait until the next project. 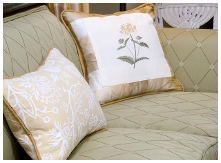 Over the years, my husband and I have worked with a few of the top designers in town. After meeting Linda Dickerson, we asked her to help us "spruce up" our former home. We enjoyed working with her so much that when we moved into our current home, we asked Linda to help us with our whole house. Not only did Linda meet all of our dreams, she is a great delight to work with. She is very dependable and stays on the job until it is completely finished. I only know a few people who are lucky to love their job, and Linda Dickerson is at the top of the list. She truly loves what she does and made it fun for all of us. We absolutely love our home and working with Linda. After living in our home for 10 years, we realized it was time to paint. Watching too much HGTV (and the various designers featured) let us know we were ready for something besides white walls. The problem was we were also color challenged. Three years later, after many hours spent in front of the various paint samples at Home Depot, Lowes and Sherwin Williams, I gave up trying to do this on my own. I started a web search for local interior designers. I just wanted someone to tell me what colors to use, but what I discovered with Linda Dickerson and her staff was so MUCH MORE. Over the last 4 months, we have had the pleasure of "moving into a new home" without moving out! Linda selected beautiful colors for the walls and then Linda and her project manager, Karen, made wonderful suggestions on how to move our furniture around to make every room special. The addition of a few well chosen accessories and window treatments suggested by Linda and Karen made every room a "WOW." When we had our first large party this past weekend, EVERYONE commented on how beautiful our home was. 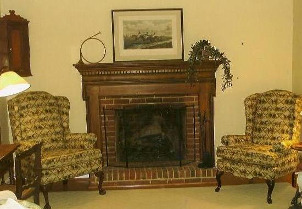 Bill and I really appreciate the care Linda and Karen gave to our tastes in their suggestions for new items, while helping us pull the new look together with our existing furniture and personal items. If I had known how much fun it would be to work with Linda and Karen and the change in appearance of our home that would result I would have turned off HGTV long ago and called her! I can only say "Thank You" - coming home from work is just a calming delight to the eye and inner self when we open that front door! I worked with Linda when she helped me change several rooms in my house. She came highly recommended and I was extremely pleased with her professional attitude and talented sense of design. 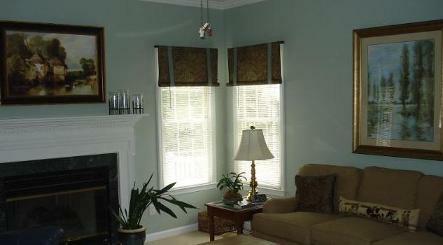 Linda helped me select furniture, paint, window treatments, and accessories, and she was very easy to work with. She also recommended a carpenter, painter, and tile installer, all of whom did quality work. Based on my positive working relationship with Linda, I would enthusiastically recommend her to anyone interested in using the services of a top-notch interior designer. We are thrilled with our newly remodeled home. Linda Dickerson coordinated the project from start to finish. We knew what we wanted but didn't have the time or the skills to pull it all together. Home renovation is a significant investment so you want expert advice and proven results. Linda's years of experience and tasteful design portfolio assured us that our house would reflect our taste and personality.